First up is Logitech’s Ultimate Ears portable Bluetooth speakers. If you are used to the kind of sound that comes out of a $129 Jambox, prepare to be blown away by sound that doesn’t seem like it could come from such a small, beautiful object. The $99 Logitech UE Mini Boombox upgrades everything I didn’t like about the previous version (Review). The top buttons are now hardware instead of capacitive, it charges via the more common Micro-USB instead of Mini, and the rubberized outer material doesn’t get scuffs and stays in one place—even when the base gets hot. And boy does it. This is loud enough to use while in the kitchen, office or even on the beach and lasts over 5 hours on a charge. If you want to piss off the neighbors, Logitech has you covered as well with the re-designed (not Mini but also not big) UE Boombox. This one is a big step up from Logitech’s previous offering with a total update of the design. The new Blue+Aluminum design with a handle is excellent for taking outdoors and to parties. Big Volume buttons on the one side let you crank this thing as loud as its namesake from the 80s. Mini BoomBox is available from Logitech or Amazon in a variety of colors for $99, while the full sized BoomBox is $249 at Amazon …and Logitech. We are also delighted with two different USB battery packs we’ve been sent. First is Zagg’s $34Sparq 3100 wall plug that replaces a simple USB plug with one that charges. It works as you’d expect, and the 3100mA/h charge can usually give you between double and triple your normal phone life. The big advantage here is that it just replaces your USB plug and still works great whenever you can’t find a wall charger. If you want more power (but not quite as huge as the HyperJuice battery we loved), Richard Solo sent us a great 11,000mAh Mobile Power Case that includes room for an iPad, an iPhone, and another USB device (camera, iPod, or another phone?). They are all charged with convenient smart-wrapped power cables. If I had one complaint, it is with the slow rate the battery was charged via USB. On the plus side, you can just plug it into your Mac. Richard Solo offers 9to5mac readers a coupon code that is good for 30 percent off the Mobile Power Case, but it will not work on any other product. This is a limited time offer for the holiday season and brings the MPC to less than $70! The coupon code is 9to5. There are tons of iPad mini cases out there but these two come from vendors who had units available “early on” ;). 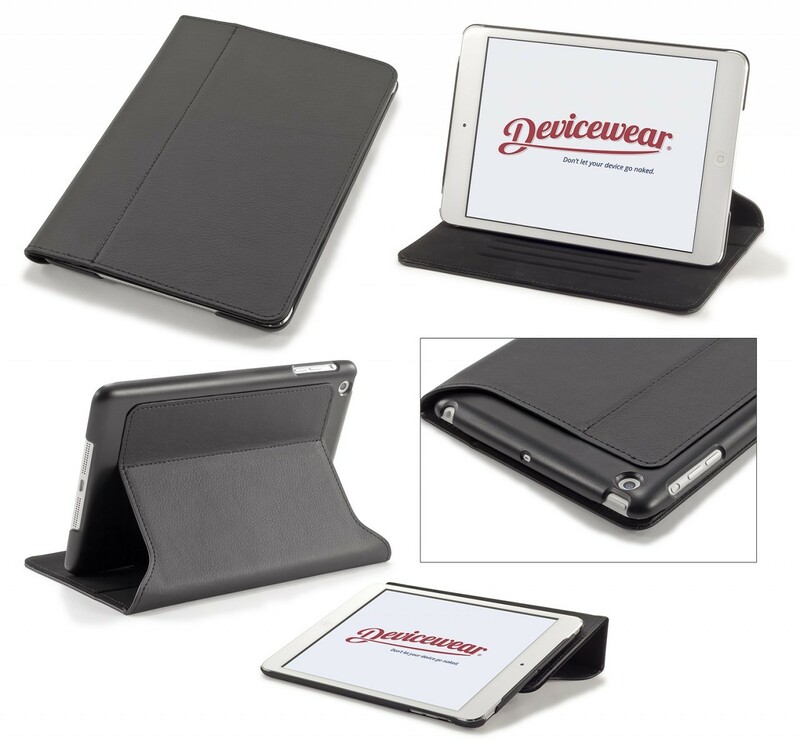 Devicewear teased their iPad mini case back in July, months before Apple even announced the product and they sent us one when it was released. Result? Fantastic case that feels every bit as professional as it looks. It comes in a variety of colors (we liked the black) and is currently retailing for $27. 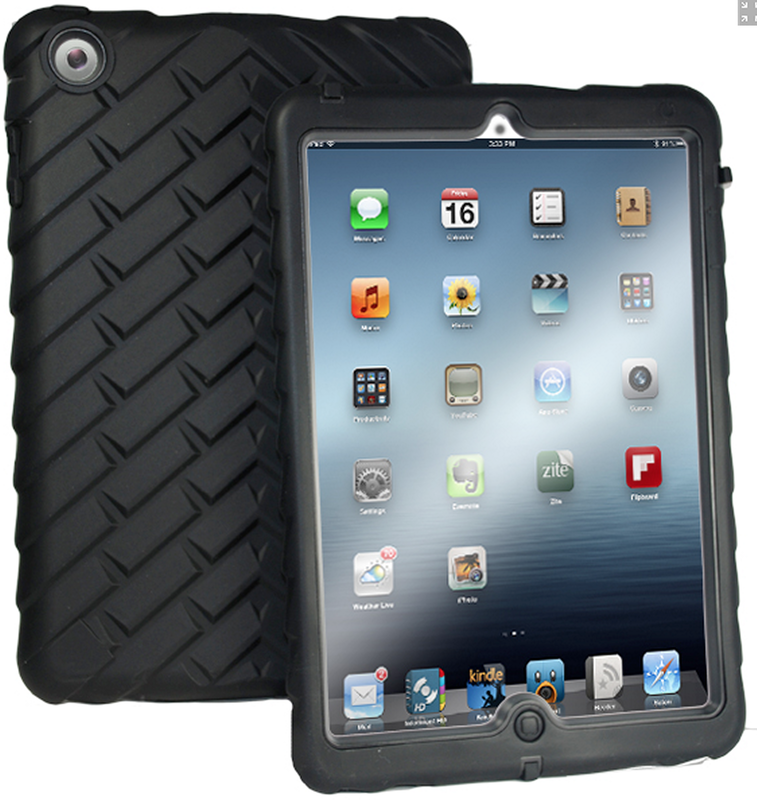 We also got the Gumdrop Drop series iPad mini case the day before the Mini was announced. What’s even more impressive is that when the iPad mini was finally announced and shipped, it fit perfectly. This is the type of case that you put over the Mini, give to your kid, and then challenge them to destroy it. My kids have dropped it in the bathtub (but Gumdrop makes no waterproof claims), drooled on it, dropped it out of the car, and they have stepped on it on multiple occasions. No issues. It comes in multiple colors for $50 to $60. Zagg’s $129 ProPLUS iPad keyboard did something we didn’t think was possible: It replaced the Logitech ultrathin keyboard that we loved. What was the clincher? The ProPlus has seven different colors of backlit keys that are fantastic for typing in the dark, for instance, in an airplane on a red-eye. Also, while Logitech has a bunch of function keys, Zagg breaks these out over an additional row for easy access. The battery is charged by micro-USB, but it lasts weeks even with the backlighting, and the Bluetooth connectivity is very reliable. Just like other Zagg keyboards, this one is also strong and the aluminum compliments the iPad and turns it into a Mini-MacBook Pro-looking device. Unlike Logitech’s offering, it doesn’t snap/wrap around the iPad like a Smart Cover, but it stays affixed pretty well with magnets. $129 with backlighting, or $99 without. The Goal Zero Guide 10 Plus Small Adventure Kit is great, if not terribly quick at charging iOS devices. The idea is simple: you can keep a portable battery pack charged using the sun that in-turn charges your iOS devices when you need them. In practice, it takes awhile for the sun to charge the battery pack. In the New York City fall, I wasn’t able to charge it completely in a day but boy does it come in handy in a pinch. Our house was knocked out during Sandy for two weeks and this thing kept my iPhone charged. When not being used for hurricane relief, it sits in a sunny window and keeps a set of 4 AA batteries charged that in-turn add a convenient USB plug to an area of the house that doesn’t have an outlet. I suppose you could take this camping too…and it probably does wonders in third-world countries where access to power isn’t so great. GoalZero’s Solar Charging kit: $120. Remember, now is your last chance to get free shipping on products from Amazon and Best Buy for shipping before Christmas.